Over the last decade or so, China has grown to become the second largest movie market in the world (and is currently on pace to surpass the U.S. in the next few years), which explains why Hollywood has suddenly shown great interest in the region. But while pairing one of the industry’s biggest stars (Matt Damon) with esteemed Chinese director Zhang Yimou might sound like an exciting idea on paper, it lacks the prestige that such a high-profile collaboration warrants. “The Great Wall” is a fairly generic monster movie at its core (think “Starship Troopers” in Ancient China), and although it boasts some fantastic visuals and rousing action that’s entertaining in the moment, it’s ultimately pretty forgettable. In 11th century China, European mercenaries William Garin (Damon) and Pero Tovar (Pedro Pascal) have ventured deep into the country in search of a mysterious black powder that will bring them riches back home. After surviving a monster attack the night before, they stumble upon a secret garrison of Chinese soldiers called the Nameless Order – each faction divided by brightly colored armor – that’s stationed at a massive wall designed to keep out invaders. Led by General Shao (Zhang Hanyu), the Nameless Order serves as the last line of defense against the Tao Tie, a colony of mythical creatures that crashed into China on a meteor 2,000 years ago. There are film franchises where each installment comes with a checklist of the beats the film will hit. A chase, a shot, a musical cue, a line of dialogue, a plot device, those sorts of things. “Jason Bourne” takes that idea to an absurd level. This is a film where the audience isn’t just reminded that they’re watching a Bourne film (though they are, constantly); at times, they’re watching a featurette on the making of a Bourne film. Several scenes are staged in such a manner that they look like test runs of the final shot, rather than the final shot. 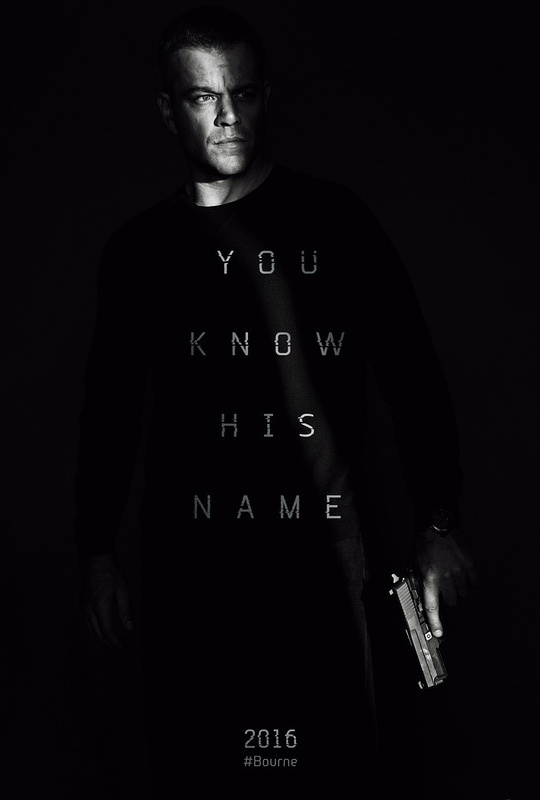 The plot is rather threadbare for a series that prides itself on convoluted story lines, but the most damning thing about “Jason Bourne” is what a bloodless, cold viewing experience it is. From start to finish, I was not emotionally invested in a single thing that took place. In fact, I couldn’t wait for it to be over – definitely a first for a Bourne film. 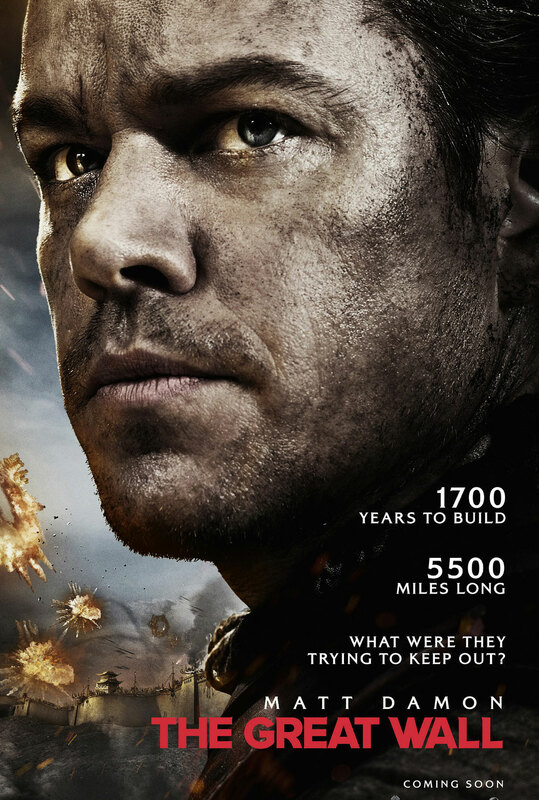 Jason Bourne (Matt Damon) is living off the grid, making money in underground fighting. He receives a visit from former operative Nicky Parsons (Julia Stiles), who tells Jason that she has hacked the CIA database and has uncovered information on Treadstone, the now-defunct program of which he was a part, as well as their latest program, which involves surveillance. The database hack draws the attention of Heather Lee (Alicia Vikander), a talented and ambitious coder who works for CIA director Robert Dewey (Tommy Lee Jones). Dewey enlists an assassin, known only as The Asset (Vincent Cassel), to find and kill Bourne. As Lee listens to Dewey talk about Bourne, she starts to question Dewey’s motives and volunteers to run point on Bourne’s capture (or death) in order to discover if there is more to the story. Sir Ridley Scott has never been the most emotional filmmaker. Most of the director’s movies have been driven by atmosphere and themes, not so much emotion. But that’s not the case with “The Martian,” a thrilling, human and moving sci-fi picture that is easily the most emotionally engaging film Scott has made in a long time. 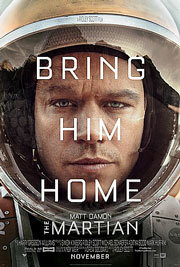 Astronaut Mark Watney (Matt Damon) is stranded on Mars. After a storm hits during the first human expedition to the planet, Mark and his crew are forced to evacuate. However, he gets hurt and separated from his fellow crewmembers, and they leave the planet without him, presuming their friend to be dead. But the charming “space pirate” and wiseass survives, and he has to find a way to communicate with NASA back home and create more resources to stay alive long enough to be rescued. Thankfully, he’s a botanist – and the best botanist on Mars, according to him – which comes in handy with his new mission: survive. The movie is far from a one-man show. Scott put together one hell of a cast with Jessica Chastain, Jeff Daniels, Kristen Wiig, Michael Peña, Chiwetel Ejiofor, Mackenzie Davis and more. They all play a role in Watney’s survival. The film, based on Andy Weir’s novel of the same name, is about the effort to save one man’s life. It’s about more than that, but first and foremost, it’s an inspiring story about the brighter side of humanity. “The Martian” is refreshingly optimistic, without any hint of naiveté, about the boundaries humans are capable of pushing and the effort we’d hopefully go to for one life. None of this comes off as phony or insincere, either. It’s hard to put down a movie like “Elysium.” Let’s rephrase that: it’s actually quite easy to put down a movie like “Elysium” – it just gives us no pleasure in doing so. It’s a movie that urges people to think of the needs of others, and the satisfaction that comes from helping the less fortunate. A noble cause, to be sure, but in order to make his point, writer/director Neill Blomkamp (“District 9”) resorts to painting with an awfully broad brush, and the complex issues of health care and the distribution of wealth that “Elysium” seeks to tackle are marginalized by half. What’s left to enjoy are the visuals and some visceral hand-to-hand combat, which is nice (think “Terminator 2,” with humans), but this is a movie that had bigger fish to fry, and let them off the hook. Set in the year 2154, Earth has become decimated by overpopulation and depleted natural resources. The wealthiest people have abandoned Earth to live on Elysium, an orbiting space station with the technology to cure any sickness in seconds. 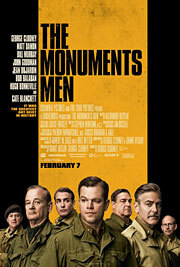 Max (Matt Damon) is a former car thief trying to live an honest life working on a factory line. Max is exposed to a fatal dose of radiation on the job, and in return the company gives him pills to manage his pain and sends him on his way. 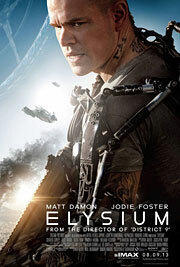 Max, with only days to live, hits up his former crime boss Spider (Wagner Moura) for a chance to jump on one of his bootleg trips to Elysium with the hope that he can heal himself. Spider agrees to help him, but Max must pull a suicide mission first. In doing so, however, they find a way to share Elysium’s technological advances with everyone on Earth; they’ll just have to get past Elysium defense secretary Delacourt (Jodie Foster) and her dirtbag sleeper agent Kruger (Sharlto Copley) first.